Home News Stories We handed our ward a wheelchair! 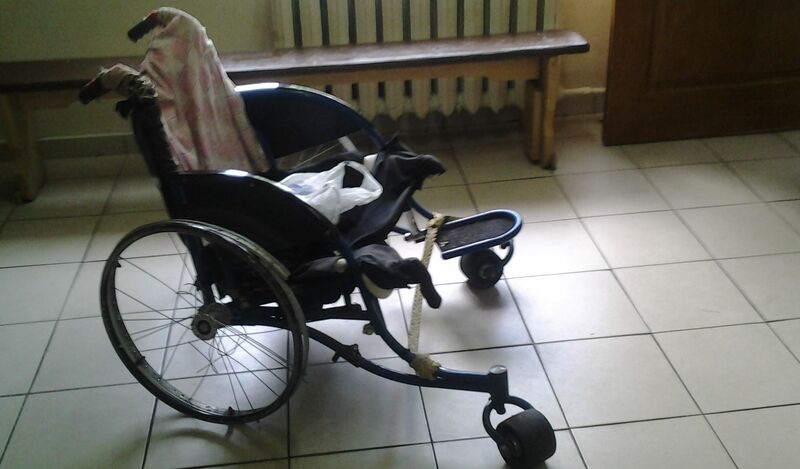 We handed our ward a wheelchair! When Boris came to us in his wheelchair, we were amazed - it was broken down, and it became obvious that it is impossible to move on. We have shared this story, and, fortunately for us, found indifferent man who wanted to buy the man a stroller. However, for a long time we could not find Boris. As it turned out, the man in the whole month and a half was in the hospital. Fortunately, Boris was able to get in touch with us today and we took him to the Foundation, which gave him a seat bought benefactor. Boris was an unusual life ... His father died in the Battle of Stalingrad, after which the boy became an orphan and went to an orphanage. Soon, however, it adopted a foster family, and Boris became the military. He served on the border; enthusiastically he tells how recidivist detained. Three times married: the first wife did not want to move to the officer, and the second had a falling out because of her infidelity. The third wife of Boris describes how incredibly good woman that ruined her own kindness. Hope was very fond of his sister, in spite of the warnings of the spouse that it is to be feared. Once, when Boris was in the hospital because of an injury at a construction site (he received a second degree at the Moscow Construction Institute and changed the type of activity), Hope lost sale due to fraud of their own relatives. This case is crippled her health - as Boris said, she could not stand the heart. The apartment, the selected swindlers, a man bought for his daughter, who died too soon. Now Boris recover documents lost due to theft, to receive a pension. Seeing the wheelchair, he was delighted and sincerely grateful for the help.